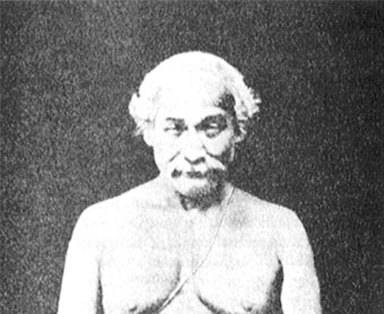 Lahiri Mahasaya’s picture had a surpassing influence over my life. As I grew, the thought of the master grew with me. In meditation I would often see his photographic image emerge from its small frame and, taking a living form, sit before me. When I attempted to touch the feet of his luminous body, it would change and again become the picture. As childhood slipped into boyhood, I found Lahiri Mahasaya transformed in my mind from a little image, cribbed in a frame, to a living, enlightening presence. I frequently prayed to him in moments of trial or confusion, finding within me his solacing direction.